If others drive carelessly or fail to pay attention to the road, even the most conscientious drivers can end up in an auto accident. Though seeking the help of a car accident attorney located in Baltimore is an important step, there are other things drivers should do before meeting with an accident attorney. In fact, taking the right steps immediately following an accident can help an attorney file a claim and seek compensation on the driver’s behalf. Each time you drive, it’s a good idea to carry emergency equipment in your vehicle just in case. For example, you should carry a set of cones, warning triangles, or emergency flares to help alert traffic following an accident. It’s also a good idea to have a camera, paper, and pen in your car for taking notes following the collision. 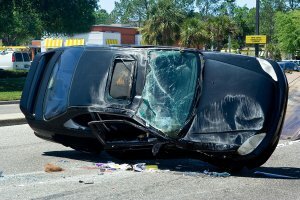 Your car accident attorney can use the notes you took at the scene to help determine who was at fault for the collision. In case you require medical attention, you should also have a card with any relevant medical information for you and your family, such as medication allergies. Panicking is one of the worst things you can do following a car accident . Instead, take a deep breath and check for injuries. If you are in doubt as to whether someone requires medical attention, it’s better to err on the side of caution and to call an ambulance. If the accident is minor, you can move the cars to a safe place, out of traffic. However, even if the accident is minor, you should contact the police to file a police report. Your accident lawyer will use this report in filing your claim. Even if you feel the other driver was at fault for the accident, it’s important to be polite in all of your interactions. You don’t need to place blame immediately following a collision, as your car accident law firm will help you file a claim and seek compensation. Instead, just write down immediately what happened in the moments leading up to the collision.